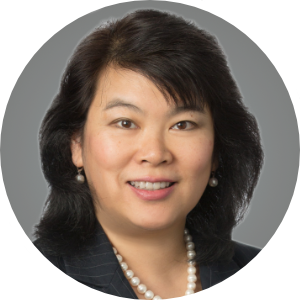 Lisa Lim focuses her practice in real estate finance and development, economic development, and affordable housing. Her transactional experience includes representing borrowers, lenders, and government agencies in the structuring, negotiation, and closing of complex transactions. She works with clients on the acquisition and/or disposition, construction, development, and/or preservation of multifamily and mixed-use developments, condominiums, hotels, senior housing, and public and charter schools. A focus of her practice is public-private collaborations with an emphasis on tax exempt bonds, affordable housing, and regulatory frameworks. Lisa has served as lead counsel on a number of 80/20 projects and other prominent developments that have helped to revitalize and develop various parts of New York City. Lisa’s major transactions include Cornell Tech on Roosevelt Island, the Harlem Children’s Zone Promise Academy I in Harlem, and the New York Genome/University of Buffalo Genomics Center joint venture. Lisa has negotiated and closed deals involving the following agencies: Empire State Development (ESD), New York City Economic Development Corporation (EDC), Roosevelt Island Operating Corporation (RIOC), New York State Homes and Community Renewal (HCR), Housing Trust Fund Corporation (HTFC), the Governor’s Office of Storm Recovery, New York State Housing Finance Agency (HFA), New York State Affordable Housing Corporation (AHC), New York City Housing Authority (NYCHA), New York City Housing Development Corporation (HDC), New York City Department of Housing, Preservation and Development (HPD), the School Construction Authority (SCA), the United States Department of Housing and Urban Development (HUD), Fannie Mae, and Freddie Mac. Prior to joining Akerman, she held numerous positions in state and city agencies. Her experience includes tenures at Empire State Development where she was Senior Counsel; the New York State Housing Finance Agency where she was Assistant Counsel; the State of New York Office of the Attorney General where she was Assistant Attorney General; and the Law Department of the New York City Housing Authority where she had the titles of Honors Associate, and In House Counsel in Real Estate and Economic Development.